Experiential learning has become an integral part of MBA programs; from the US to Asia, business schools are integrating hands-on learning into their curriculums to meet demand from full-time MBA students who seek opportunities for hands-on projects and internships. In fact, the Graduate Management Admission Council (GMAC) reports that while in 2016, 41% of full-time MBA candidates preferred a work project in their program. In 2018, that figure rose to almost 50%. Similarly, the number of students looking for internships during their full-time MBA program has increased from 68% in 2016 to almost 80% this year. To meet this need, The Ohio State University Max M. Fisher College of Business has made experiential and action-based learning an integral part of its revamped full-time MBA curriculum. In a redesigned MBA program launching in September 2019, students will have more chances to make connections with local and international companies, including a capstone experience, Fisher's Global Applied Project (GAP) experience, a Business Lab project, and a Social Impact Challenge. Katie Abdellatif is a current second-year student on the MBA at Fisher. After spending almost three years with medical technology company Cook Medical, she decided to pursue MBA in order to transition back into an industry she was really passionate about. Since starting the program in September 2017, Katie has already completed two hands-on consultancy projects with the Columbus Zoo and Aquarium and the Columbus Museum of Art. Katie also took part in the Global Applied Projects at Fisher College of Business, an experiential learning course during which students participate in a consulting project outside of the US. She worked as a strategy consultant for the Global One Health Initiative, a social enterprise, both in their regional office at Ohio State and in Ethiopia. “This was a huge opportunity to not only understand the importance of managing client relationships but developing relationships with NGOs outside the organization,” Katie says. Katie is certain that the experiences she’s had on her experiential learning projects at Fisher will prepare her for a future career—in the nonprofit sector or elsewhere. “Overall, these experiences have built cross-cultural communication. They’ve helped me to better understand how to structure projects, and drive a team toward deadlines,” she explains. 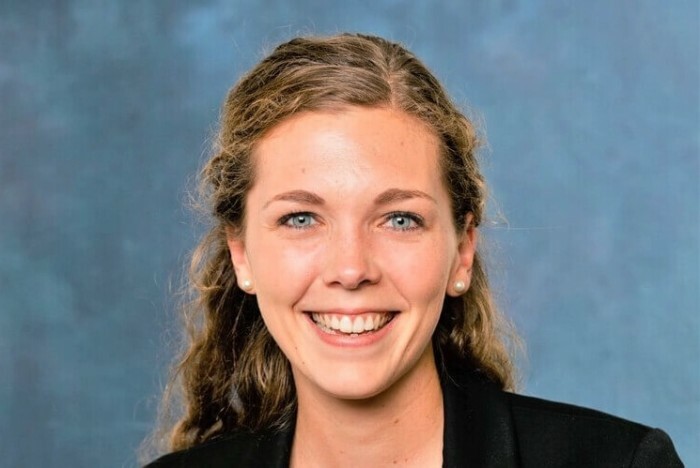 But Katie also attributes her personalized experience to the community at Fisher—there are approximately 170-to-200 students enrolled on the MBA every year.